If your social media is abuzz with one topic of discussion early in the morning, it's most probably a breaking news such as the death of a celebrity, Pakistan accused of not fixing a match or someone finding a stretch of road in Gurgaon without any potholes. However this morning has been different. 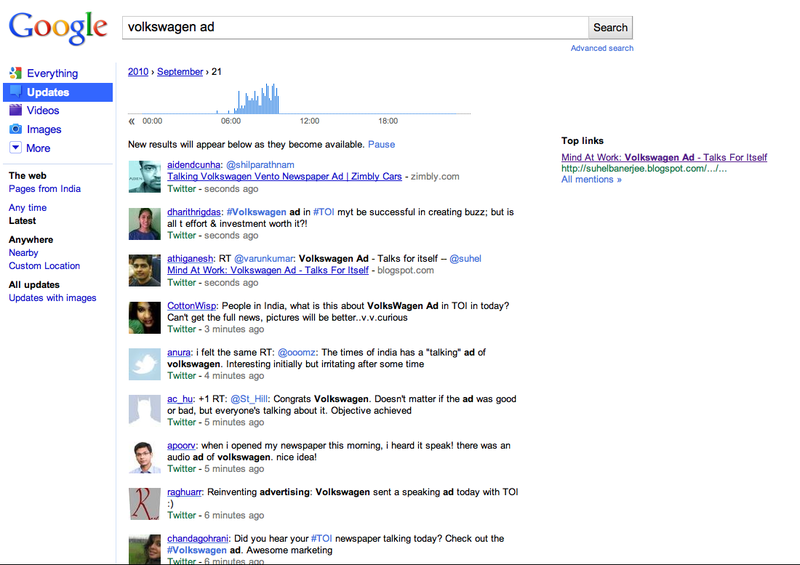 My timeline is clogged with awe and aww about an automobile ad. Having been in the advertising business for over 5 years now I can assure you that's a first. So, take a bow Volkswagen India. And here's why. In case the video doesn't play for you here's the 'guide book'. 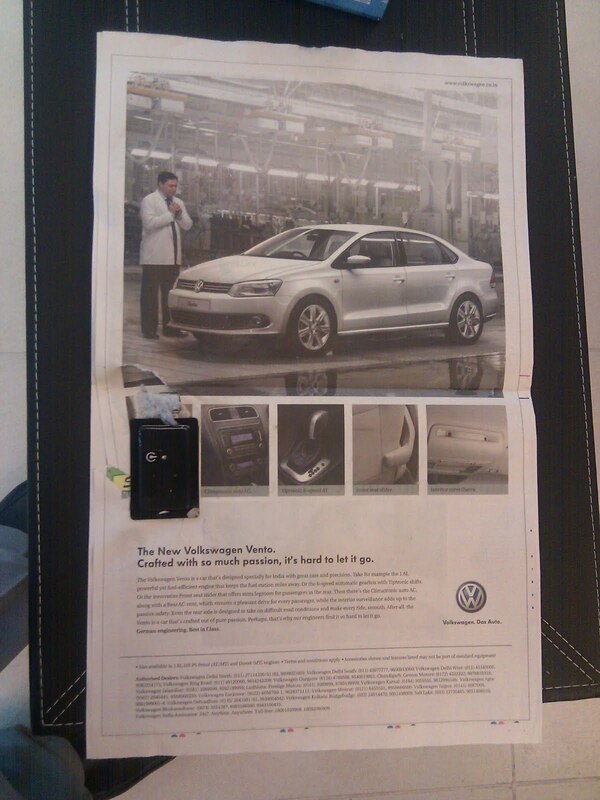 When you open the Newspaper supplement, Volkswagen has brought out a full page (last page) ad. And the 'innovation' is that it's like one of those talking cards. As soon as you open it the ad starts playing itself, a voice over. This goes on in an endless loop till you close the paper. Every paper has a small speaker attached to it. See picture attached below. Suhel, you missed your calling as a TV reporter. Not kidding. I missed it this morning, and I cant find the paper in the house - probably my roommate has taken it to office....... so your video is a nice substitute..
@DK - At least you didn't call the police unlike many others. @Tanushree - You couldn't be more correct. 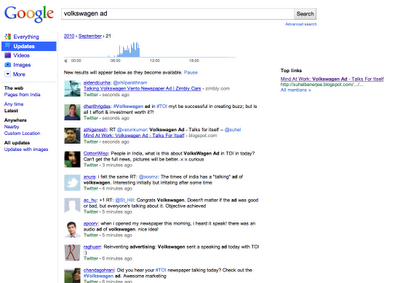 @Tanushree - Looks like a few people found that a bit funny, completely unintentional on my part though. @Abhishek - The world is divided into two as of now regarding the effectiveness of the campaign. However as far as the buzz created is concerned its united like never before. Kingdom Of Dreams - Much Larger Than Life!